I love celebrating birthdays. Just not my own. I definitely feel loved and appreciated when friends and family take time out of their lives to celebrate my existence, but at the same time there's just something about shining the spotlight on myself that makes me feel awkward and a bit sweaty. So, this year I'm celebrating my birthday by turning the spotlight on my fabulous readers! The Good, Bad, and Fab Birthday Giveaway Week commences today! Everyday for the next seven days, I will be giving away amazing prizes to lucky readers so that we can celebrate together. 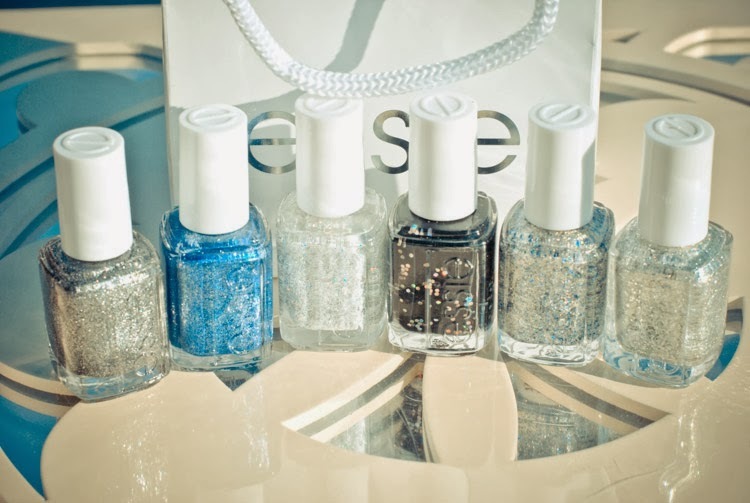 On the first day of my Birthday Giveaway Week, I'm giving away three sets of the Essie Encrusted Treasures collection. 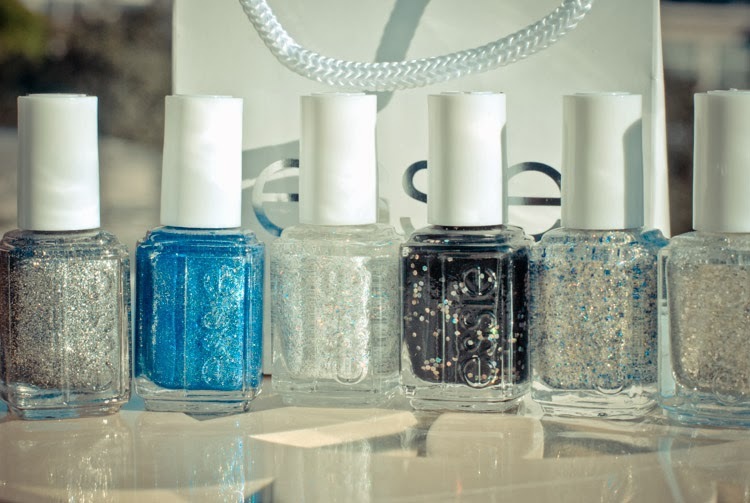 The dazzling array of polishes come in matte and holographic finishes that redefine "nail bling." Scroll down for deets. On my seventh birthday, I borrowed some of Mom's white-out and proceeded to white out my nails. It was my first brush with painted nails which made me feel so grown up and fabulous. At age seven, I was finally going to be an adult! I was able to get through most of the evening without detection but the moment I ceremoniously cut the birthday cake, I got caught white-handed. Mom wanted me to take off the toxic paint immediately but I pleaded with her to let me wear it for the rest of the night. I screamed, "C'mon, it's my birthday wish!" She relented and so wearing white-out for another hours officially became my seventh birthday wish. Nice selection of bright colours!!! I'm so obsessed with nails! A nice nail polish brightens up my mood whenever I look at it and it's like my whole outfit is put together with the right colour on my nails. I saw people were doing a separate entry for each thing so I know i commented beofre about following, but I'l treat the first as entry for follow you and this is for following Essie! I followed on Instagram: kaytiger890, and tweeted with KaybearK. I did steps 1 - 3 under @cxc118. and i follow essie on IG! and i liked the photo - thanks so much! Happy birthday week!!! I follow you, follow Essie, and liked your photo under @ktisdelle! Following you & Essie on instagram and 'liked' your Essie insta pic! liked tweeted and followed you and essie Thanks for sharing your Birthday with us !